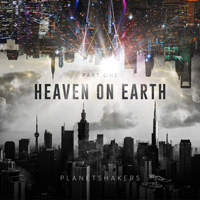 The “Heaven On Earth 1” extended play was released on April 06, 2018. “There Is No One Like You” was led by Joth Hunt and sung in the key of D sharp major or E flat major (D# | Eb). “The Greatest” was led by Joth Hunt and sung in the key of C major (C). “Above All Names” was led by Sam Evans and sung in the key of F major (F). “Not Alone” was led by Sam Evans and sung in the key of A sharp major or B flat major (A# | Bb). Go to Heaven On Earth 2.